First & last among equals. 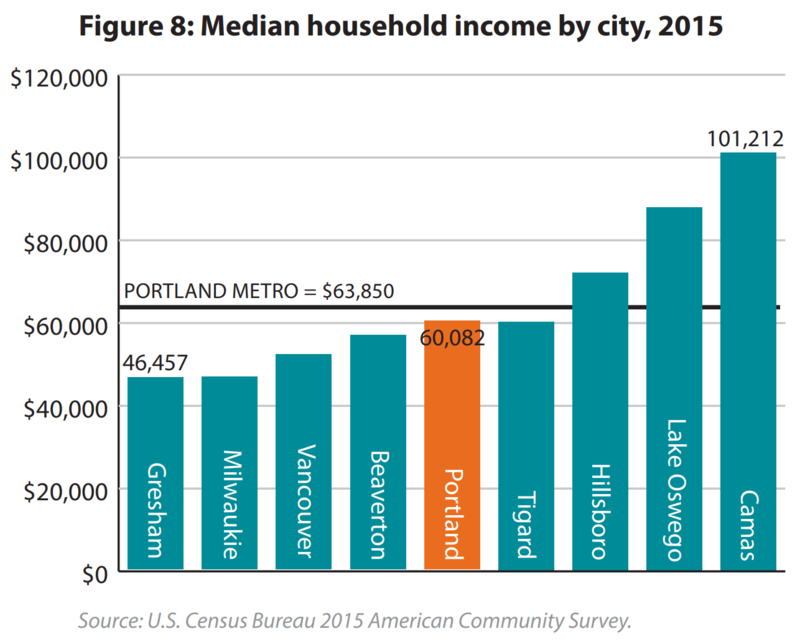 Portland, OR metro area household income by each city. The Camas household income is surprisingly high. Is that due to wall street billionaire Fisher hiring for high-paying financial positions or due to lot of high-tech jobs in a city of about 20k people?